Creating a network of women—whether it be in the same sector, field, or age group or across different age groups and/or fields—can be very useful for not only gaining work-related or life-related tips but also for understanding trends in research and development as well as in society to solve problems. 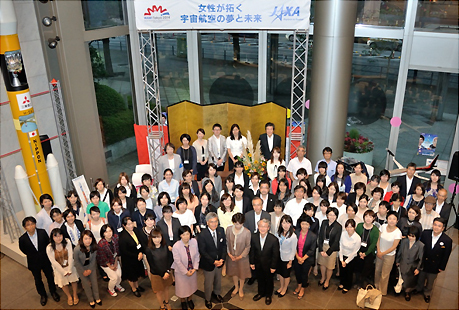 JAXA is promoting the creation of such networks of women working in the field of space science, both nationally and internationally. 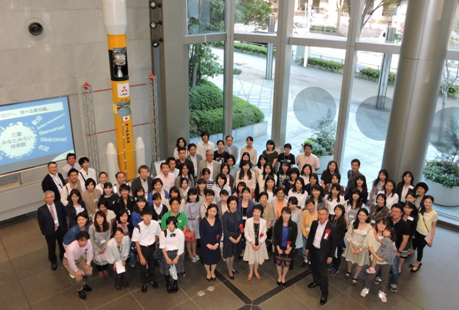 "Asia - Pacific Female Networking For Enpowering Women in Space and Aeronautics"
"Symposium on The Dream and Future of Aerospace Pioneered by Women"
Copyright ©2014 Japan Aerospace Exploration Agency.